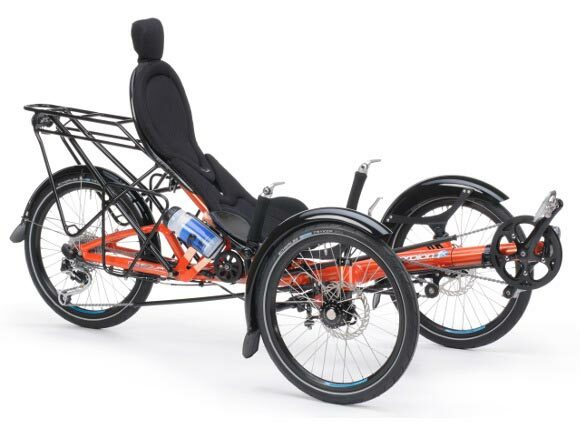 The HP Velotechnik Scorpion and Scorpion fx are the perfect tadpole trikes for those who like to customize and have things their way. At last count there are 62 basic option decisions that you can make including 6 seats and 7 drive trains. This is one of those things that customers spend half their day at work on the internet obsessing over during the winter months. It’s hard for us to decide which configuration to bring in to display because no two are alike. I don’t think we have ever taken a “plain Jane” version in on trade. 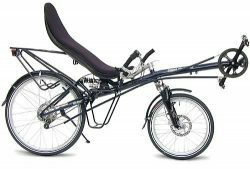 As I’m writing this, we have a stock Scorpion fx with the high seat and high handlebar option The high option makes it easier to get in and out of which is great for some customers but hurts the high speed cornering. Also, when I hit the brakes hard the suspension unweights and causes me to feel like I’m rocking forward in a rocking chair. My message is that there can be unintended consequences which need some expert guidance to avoid. In my example, the answer would be to change the suspension spring to a heavier one for my weight. The basic design of the Scorpion family is how I like trikes to be. I favor the “V” shape cross members for the front wheels. 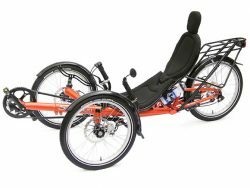 It does three nice things for a trike: it makes the wheelbase longer without lengthening the trike, it adds heel clearance for smaller riders and gets the seat closer to ease getting on and off. The Scorpions have indirect type steering which feels smooth and confidence inspiring to me. That’s a personal preference which requires some test riding to see what you yourself prefer. 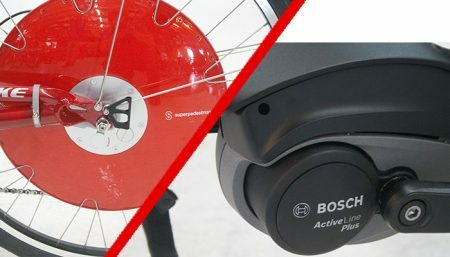 The main differences between the Scorpion and the Scorpion fx revolve around the design changes to add the fx folding joint. 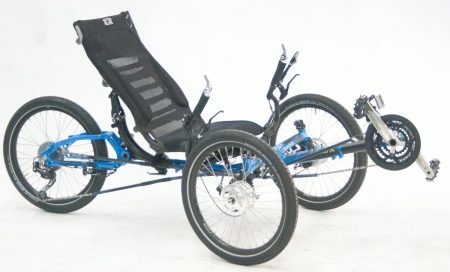 The Scorpion fx has been tweaked to be a better touring and commuting trike. The fold allows the fx to fit into a car, apartment or office easier. The seat height is noticeably higher and more upright than the standard Scorpion. The higher seat allows room for one more set of panniers on the fx behind the seat. It also provides a more “heads up” position to see and be seen by traffic. 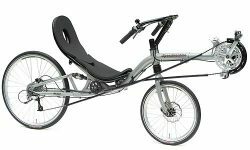 The standard Scorpion has a 7cm longer wheebase and feels more low slung and sporty The lower center of gravity and longer wheelbase make for a great handling trike at speed in the hills. They really are two different trikes. 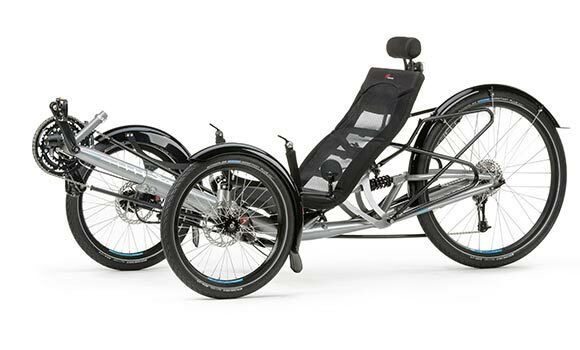 Like most things worthwhile, HP Velotechnik trikes take some study and thought. 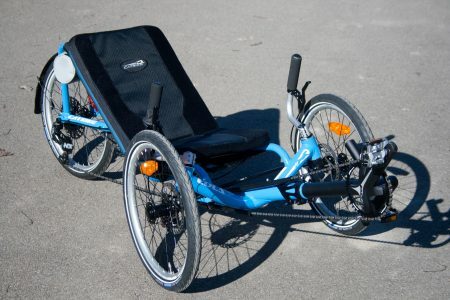 They make a great trike-it’s up to you and us to make it the best one for your needs. We will be glad to run through the plus and minus of all the options with you. 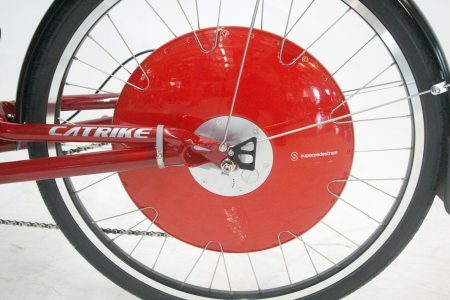 The best way is to try a bunch of trikes and make sure first that your favorite is a HP Velotechnik over everything else. We have a lot here to try and will help you sort through them all.